S Goodwill Developers has created luxurious spaces that have epitomized the pinnacle of comfort. Goodwill Developers is managed by entrepreneurs who have carved a niche for themselves in the world of real estate market in Nagpur. Optimum satisfaction of valued customer’s has always been the priority. The company’s vision is to create living spaces beyond the ordinary that people would be proud to own. At Goodwill, every individual strives to achieve operational excellence to create a paradigm shift in customer expectations from real estate developers. 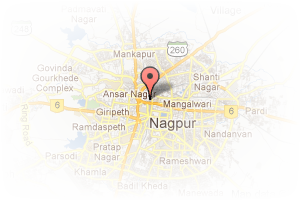 Address: Shop No. 4 Sitabuldi, Sita Buldi, Nagpur, Maharashtra, India. 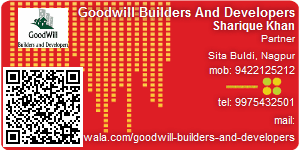 This Builder Profile page for "Goodwill Builders And Developers" has been created by PropertyWala.com. "Goodwill Builders And Developers" is not endorsed by or affiliated with PropertyWala.com. For questions regarding Builder Profiles on PropertyWala.com please contact us.